A few years back, it seemed like there were 10,000 articles on the pros and cons of raising relatively modest amounts of capital using traditional equity vs. SAFEs and convertible notes. I don’t see quite so many of these posts anymore, though, I think for two reasons. First, everyone is hunting more unicorns, and therefore, a little less worried about what happens in smaller outcomes. Angels (vs institutional investors) have a lot more downside in notes and SAFEs than professional investors. Why? A professional investor making a small investment in a round via a note or SAFE (say 0.1–0.5% of the fund size) with small-ish implicit ownership won’t really be impacted that much whatever happens. 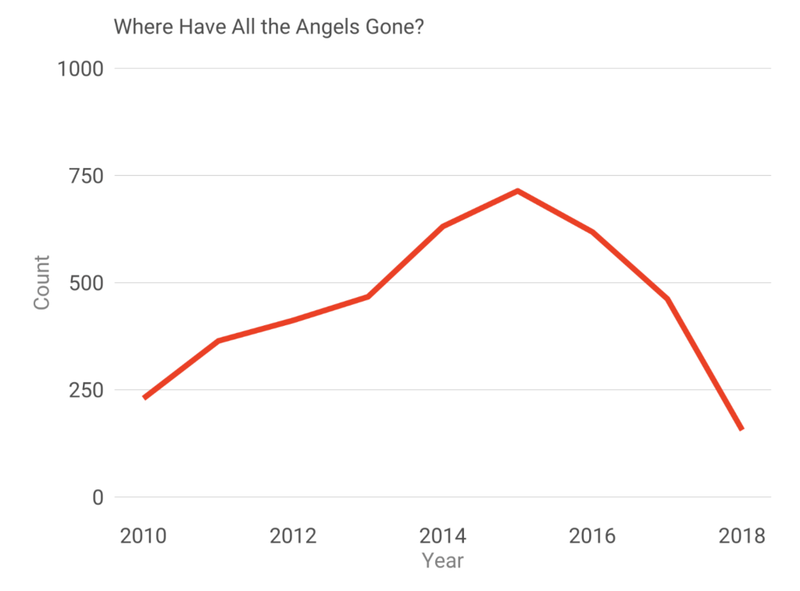 But an angel’s total returns could be dramatically impacted if she doesn’t have pro rata rights in her one winner, even if it’s from a fairly small check. Or if she doesn’t make her money back in an acqui-hire. Or if the terms end up a bit odd. But institutional investors just don’t care as much for smaller investments. They are unlikely to move the needle either way. So let’s fast forward to 2019. We’re headed into demo day season and folks that are raising investor money will get lots of advice here. SAFEs and convertible debt are cheaper / faster to do than equity.Sometimes true. SAFEs and convertible debt help you maintain control, for longer. 100% true, if it matters. SAFEs and convertible debt let you raise whenever you want, however much you want. True — if the money is there. And if the money is there, this can make them super convenient. So yes, while institutional investors might prefer you sell “equity” to them than issue notes or SAFEs at the same price, it’s fair to say that if the amounts are small, it’s modestly better for a founder to go with SAFEs / convertible notes. I’m personally either way if the amount is < $1m. And if things go well, none of this matters. But as time has gone by, I’ve seen the downsides of debt and SAFEs over time. The downsides that aren’t as obvious the day you close the investment. Much harder to get a second check from your syndicate without a venture lead. If things don’t go perfectly and you need more money from your existing investors, it’s much much easier if you have a lead investor who has purchased shares. Not easy, but much easier. Most institutional investors who buy a material amount of equity shares assume and reserve a certain amount for a second check if the company does OK/good but not yet great. But SAFE and note holders almost never do. You don’t get the same quality references for the next round. This is related to the prior points, but if no VC is the lead, they just won’t work as hard to bring in a Series A investor for you — if at all. There just isn’t as much on the line. And most importantly — too much debt/SAFEs can be toxic for future fundraising if you do it wrong. Let’s dig in here. Let’s spend the most time on the final point, because it’s subtle and folks miss it. More and more often these days, in the age of the endless seed round, endless notes, and endless SAFEs, founders raise more and more in these debt and debt-like vehicles. The problem with SAFEs and notes is they are … debt. Not just legal debt, but they are borrowing against the next round. Against room in the next round. And if you borrow too much of the space in the next round, it spooks the potential next round investors. An extreme but pretty common example these days is the 1:1 ask or 1:2 ask. I.e., a start-up manages to raise $4m-$5m in debt/SAFEs … does OK but not incredible … and then goes to try to raise $4m-$5m in a Series A equity round. It doesn’t work. No investor wants half the round going to paying out debt, even if it’s not really cash out the door. Even 33% is too much. Most investors are fine with 10% of the round going to debt, even 15%. Maybe 20% is OK. But not much more. So let’s put it this way: for each $1 you raise in SAFEs and notes, assume to be safe, you’ll need to raise $4-$5 in your Series A. Raise $1m in SAFEs/debt and raise a $5m Series A? No problem. $2m and a $10m Series A? No problem. But as the SAFEs and debt creep past $3m … you start to commit to a $10m round next time. If you are growing like a weed, great. But if not — is the stress work it? Instead, just do the investment as equity — at the same implicit or explicit price as the note/SAFEs/debt. No one will care (or at least not as much) the next time in the next round, because there won’t be all this debt hanging around. The dilution will be the same. And your life as CEO will be that much easier.